Exotic Care Rental Denver: Enjoy the Wind in your Face! Enjoy the Wind in your Face! Summer is almost over, which means school is about to start and your days are going to be filled with taking your kids to and from daily activities. If you are trying to prepare yourself for what’s to come, make sure you give yourself one last trip you can look back on! Relax today and begin your journey with your kids in the weeks to come knowing that you made the memories you wanted to! So, what are you planning on doing to create these memories? Take an exotic car rental for the ride of your life in Denver! If you’ve always loved getting out and enjoying fresh air and wind in your face, then you’ll be happy to know that we have exotic cars for you to rent to do just that. It’s not every day you get to enjoy a fresh breeze in your face while driving up a winding mountain road to a lush green destination with peaks providing a view that you can’t get enough of. With one of our Audis or the BMW 3281 Convertible M-Sport, you’ll be able to do just that! Leave all of your worries behind and create lasting memories with the ones you love the most! 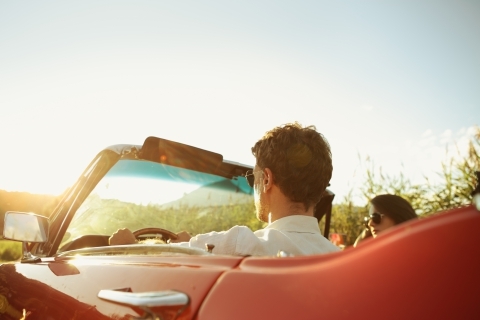 Take the car of your choice for the ride of your life to a destination you have always wanted to go to. If you’re looking for something a little bigger that your entire family can fit in, try our down-to-earth GMC Yukon that can fit your entire family comfortably. Create memories while you can and enjoy summer break with your kids before school season starts in just a few weeks! Request your rental online now and enjoy the wind in your face!